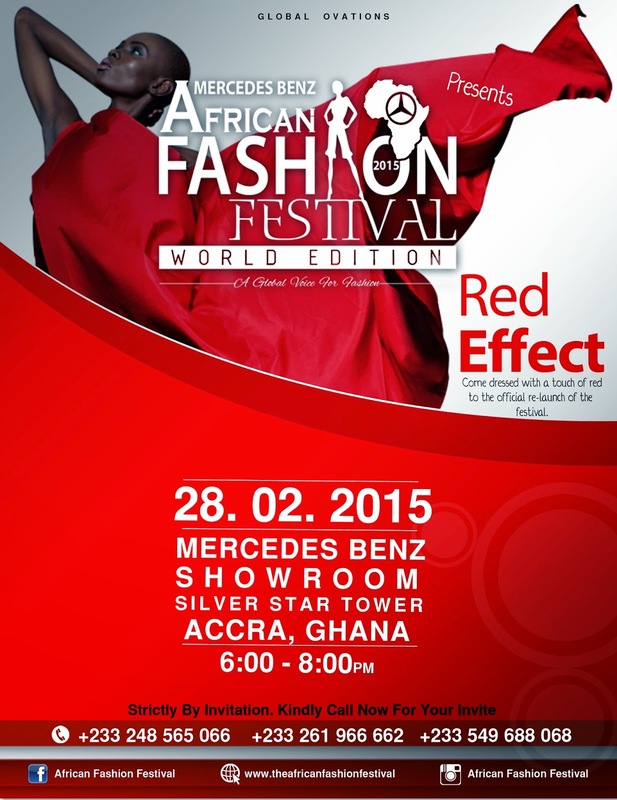 Organizers of Mercedes Benz African Fashion Festival are set to launch this year's event dubbed ‘Red Effect’ party in the month of love. According to The Deputy creative Director of Global Ovations, Organizer of the event, Miss Joyce Otibu , we will be announcing some of our headlining designers set to participate, giving a break down of the runway shows, workshops, pop-up shops and other activities that will be taking place during the event and much more. The launch will be held on Saturday February 28th 2015 at the Mercedes Benz Showroom (Silverstar Towers) in Accra from 6:00pm to 8:00pm.